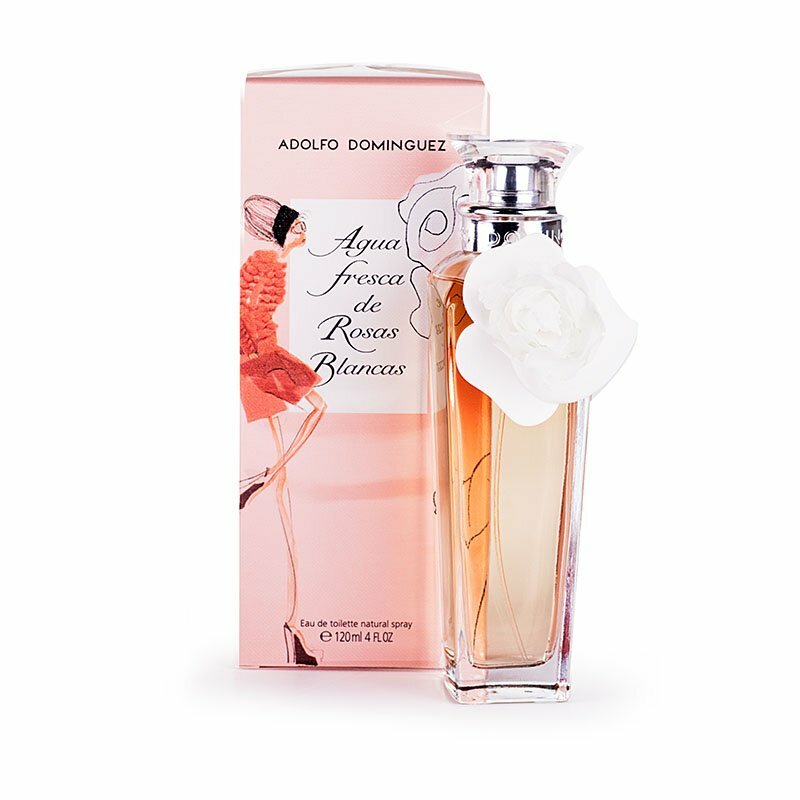 Agua Fresca de Rosas by Adolfo Domínguez is the perfect gift for whichever occasion and for whichever woman: girlfriend, mother or wife. In FloraQueen we know perfectly well what a woman needs: freshness, beauty and adoration. Send her this gift and you will be triumphant! For many women, a perfume is a unique present. One that always excites. So, if you want to surprise your partner, there’s nothing better than choosing her fragrance or the one that could turn out to be the scent of her life [on line perfumes]. Exclusive scents and fragrances are not just the ideal romantic gift. Buying women’s perfumes is also a very personal gift for mothers, for example. No Mother’s Day passes without the gift of perfume. Maybe your mother has always dreamt of having an exclusive, delicate perfume but never been able to. Now’s the time to make her feel more special than ever. Give her that fragrance you know she adores. Perfumes for the women of today who are modern have evolved a lot with the idea of adapting themselves to the different profiles of today’s woman. You’ll find yours here. Giving a woman perfume should be a gesture based on her personal tastes or wishes. If you know that she adores a particular perfume, don’t think twice, that’s her fragrance [buy perfumes on line]. Women’s perfumes are very varied and a lot depends on the fragrance used in making them. That’s why they say that there’s a perfume for every kind of woman. There are floral perfumes, gentle and fresh, ideal for daily use. Oriental scents are more sensual and related to the night. Then there are citrus scents, ideal for young, carefree spirits. Active, sporty women. Our catalog offers you very different perfumes recommended for women: Hugo Boss, Armani, Dolce Gabbana, Carolina Herrera, Rochas, etc. Know the woman and you’ll know her perfume. A present like this is always the right choice, whether it’s her favorite fragrance or you want to surprise her with a new perfume. The sense of smell is one of the greatest ways to evoke a memory, the two are so closely linked to each other. Just as much, the sense of smell is greatly linked to our emotions. Buying a perfume for a special woman in your life is one way to build unforgettable moments together. Every time you smell it you will be reminded of each other. A perfume is a unique, highly personal gift that always excites the recipient. Style and appearance is important and having the right scent to bring an outfit together can make all the difference. Especially if that scent was hand selected by someone special, making it even more meaningful. When choosing a perfume to give to the woman in your life be sure that you chose a scent that will compliment her personality and style, keeping you always on her mind. A woman puts a lot of time and effort into getting ready, their hair is always done, their makeup is perfected, their nails polished and their outfit carefully thought out. Therefore, if it's time to get the special woman in your life a gift be it for a birthday, Valentine's day, Mother’s Day, or just because one of our hand selected fragrances is the best way to show her your love. Giving her the final touch to keep smelling sweet as well as looking stylish. FloraQueen is known for its ability to give you the right gift, at the right price, delivered at the right time. Select the right perfume that will help her to continue to be the fashionable woman she is. And show her just how much she means to you with such a touching personal gift, and have it delivered directly to her just in time for that special occasion.